The power cord and pressure switch for the pump are required components and sold separately. 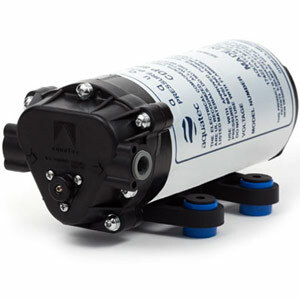 This Aquatec booster pump, model # CDP-8800 is used for low pressure applications for RO systems with membrane capacities between 60 & 100 GPD. View our new Reverse Osmosis Exploded Diagram with Booster Pump.